If you can read this right now, congratulations, you’ve passed. Not only does it mean you’re not blind. And that you can operate heavy machinery at night. 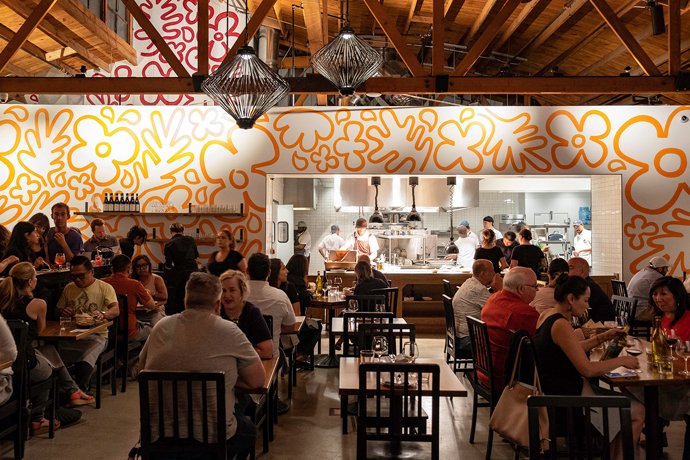 But it also means you’ll have no problem finding the tiny new Umami Burger in Westwood. 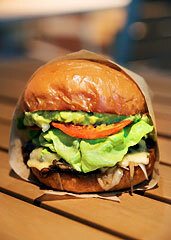 Meet U Mini, the smallest member of the Umami Burger family, opening tomorrow in the shadow of UCLA. Think of this like a CliffsNotes version of regular old Umami. There’s a silver counter. There’s a soda fountain. There’s a four-mini-burger/two-fry/two-shake menu. It’s the kind of place that was designed from the ground up to specialize in 12am post-bar takeout (all the patties are seared so they stay hot longer en route) and 30-minute lunch breaks. Which, yeah, if we surveyed 100 people, asked them why they’d go here and then played the Feud, those would be the top two answers on the board. As for the top order: well, we’d strenuously suggest trying a Dads Burger (that’s a five-ounce Umami burger with savory onions, bread-and-butter pickles and house American cheddar) and a Salted Caramel Shake (that’s... a salted caramel shake). But wait, there’s something missing. Right, fries. In this case, you’ll want the ones that are dusted with parmesan, tomato, mushroom and herbs. Nothing like a good tomato dusting.